by Kick To The Gut! What a week it has been in the wacky world of pro wrestling! 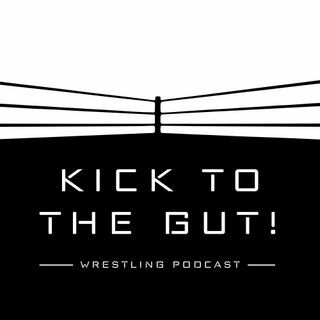 Mister Young and FRGN are back live in the studio just in time to review a monumental Wrestle Kingdom 13 presented by New Japan Pro Wrestling. History was also being made as the promotion created by Cody and The Young Bucks, All Elite Wrestling held it's first ever press conference. The podcast duo give their reactions to all the major announcements, including PAC (formerly known in the WWE as Neville) and Chris Jericho's ... See More signings and how it will affect the landscape going forward. Finally, the boys pay tribute to the memory and legacy of WWE Hall of Famer Mean Gene Okerlund, undoubtedly the greatest wrestling interviewer of all time.